I’ve certainly made my share of excuses when it comes to stepping out, but each time I’ve chosen to step in faith I have been blessed and enriched. I know it pleases God to see people overcome their fears and answer His call. He has a plan and wants to include you and me both to accomplish it! A few years ago I felt a calling that was far outside my comfort zone, it was a sense that it was time to leave my job. Now, that is not something you decide to do on a whim, especially in these uncertain economic times. My wife, Chris, and I began to pray, and if that’s what God had in store for us then it would be okay. We began to pray and expressed my interest in the idea at the office, a few months passed before we got wind of planned cutbacks, and then I found myself praising God for His faithfulness one day as I received word of my pending departure. I think I caught the boss off guard with my attitude. It was almost as though he was the one that needed consoling for delivering bad news. When I shared with my co-workers that it was a gift from God and an answer to prayer they were floored! This website and accompanying book is something that has been on my heart for more than 10 years, I’ve actually been waiting and hoping for someone else to write it. I kept looking for something that you could pick up when you needed to hear a short word from God in the area of fear and worry. 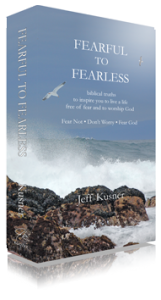 I’ve said that much of the inspiration for Fearful To Fearless is the biblical account of Jesus calming the storm in Mark 4:35-41. It’s a demonstration of Christ’s power over nature and His ability to comfort us in the storm. It showcases our need to call on Him in prayer and place our trust and reliance on Him. When the disciples cried out suggesting that He didn’t care whether they perished or not, Christ showed His disappointment in their lack of faith. For Christ loves us all and wants for none to perish, but for all to have faith and go through the storm with Him. Each time we choose to trust Him in the storm the stronger our faith becomes. But what we also see in this passage is the transformation from being afraid, to having the fear of God. The disciples just witnessed the power that He had over the sea and storm and realized the power that He had over them. They were now in awe, they marveled at what they just observed and were filled with the fear of God, a godly fear of the power and grace of Christ during the calm, a fear of the Lord and all His goodness, a reverent awe that was full of honor and glorifying to Christ. 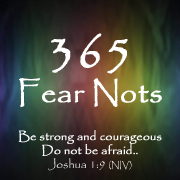 Offering a free online bible study to women based on the 365 “Fear Nots” and Promises found in the Bible. 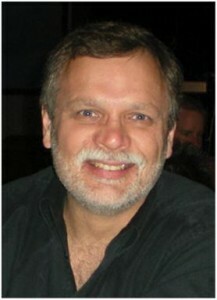 I have purchased your book as a resource and have shared the information with the women taking the course as well. Hope you see an uptick in sales this early 2016!!!! Thanks for writing the book. Thanks Michele, i’d love to hear how it’s going after a few weeks. I don’t have the book yet, but I would love to have one. Thank you for inspiring us . Blessings.